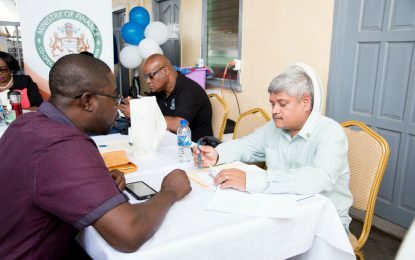 From as early as 6 o clock, residents from various parts of East Berbice-Corentyne, , began arriving at the University of Guyana Campus, in Tain Berbice to have their matters addressed in the ‘Government comes to You’ Outreach. This is the third outreach for this year. The first was held in February in Region 9, Upper Takatu-Upper Essequibo and the second in Region Four, Demerara-Mahaica. 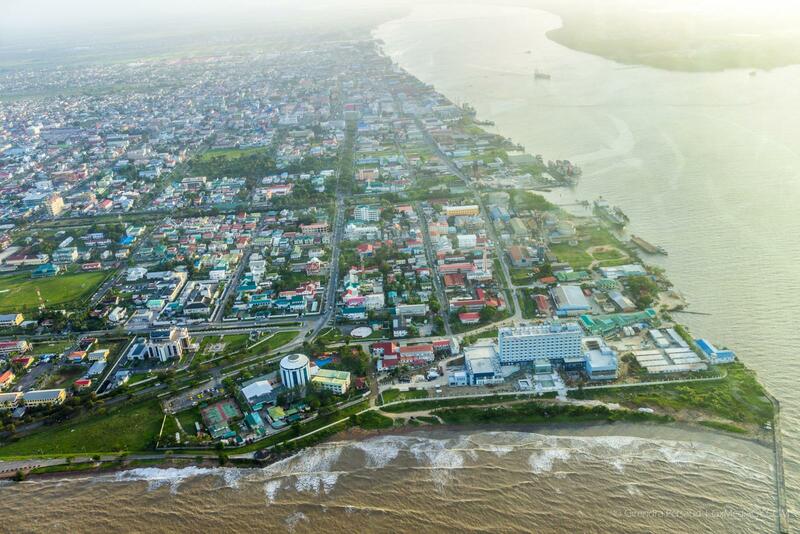 The exercise officially began at 10 o clock this morning with representatives of government agencies and ministries including the Ministries of Agriculture, Public Security, Housing and the Guyana Lands and Surveys Commission, on hand to assist citizens. The booths with the largest gathering thus far have been recorded as the Ministry of Agriculture and the Central Planning and Housing Authority. Government Ministers will join their various ministries and agencies following the cabinet meeting at state house in Berbice. The outreach is set to close off at 5 o clock this evening.